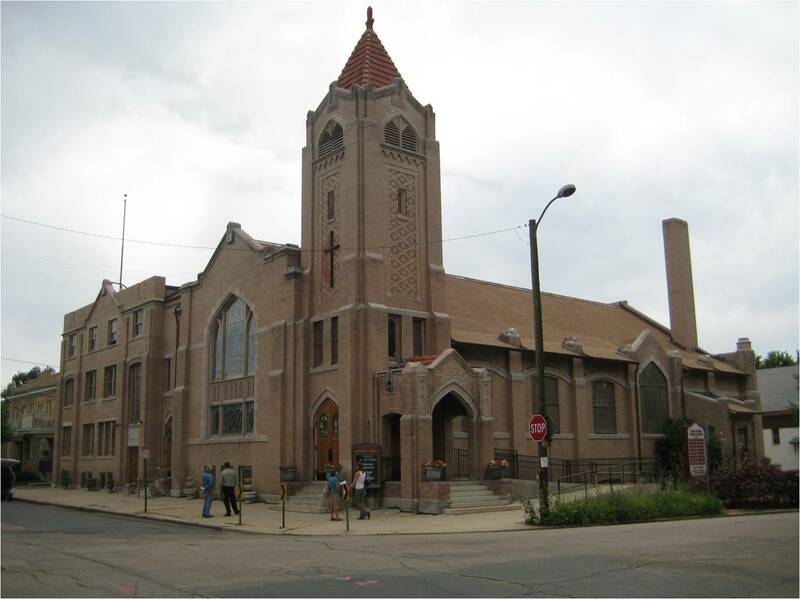 For nearly one hundred years, the Grant Avenue Community Church and Sacred Space has graced the corner of South Grant and Cedar in Denver. While the name has changed, the building has always played an important role of service and involvement in the surrounding neighborhood. 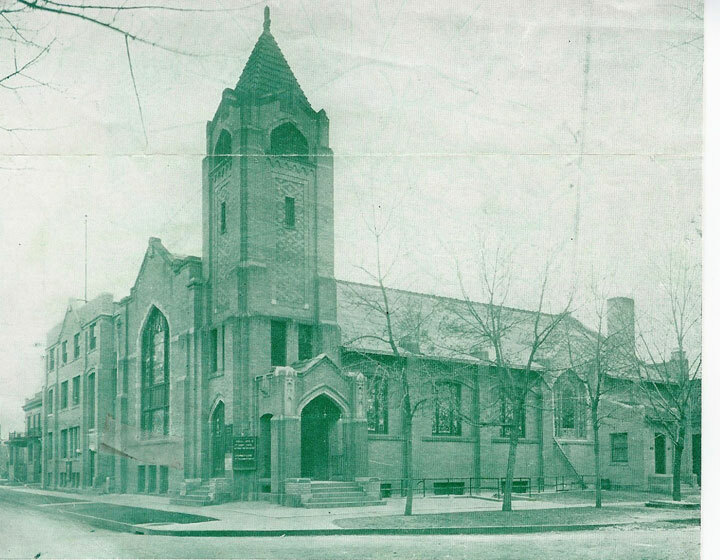 Dedicated in 1907, building, with its blond brick, red clay tile roof, and distinctive corner tower, once housed the thriving Grant Avenue Methodist Church. As the urban congregation declined, by 2000, developers were knocking on the doors, pitching a loft project. Faced with the potential loss of the building, the church donated the building to the community and the congregation voted to form a non-profit organization, he Grant Avenue Community Center & Sacred Place, Inc.
At the time of its listing on the Endangered Places list in 2002, the building needed more than $2.5 million to update electrical, mechanical and plumbing systems as well as to address accessibility and safety issues. Through fundraising and a number of grant sources (including the State Historic Fund, Piton Foundation, Gates Foundation, and the Boettcher Foundation) the necessary upgrades were made including addressing issues with the roof and restore the wooden louvers in the bell tower. 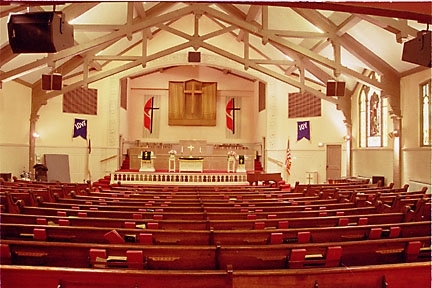 Today, the Community Center is home to a number of local nonprofit and arts groups in addition to ongoing use by several small church congregations. From growing church congregation to endangered place, the Grant Avenue Community Center and Sacred Space has now entered into a new phase of its evolution, bringing vibrancy to the neighborhood once again. It is a wonderful example of what creative thinking, community partnerships, and dedication can produce. The building is listed on the State Register of Historic Places.